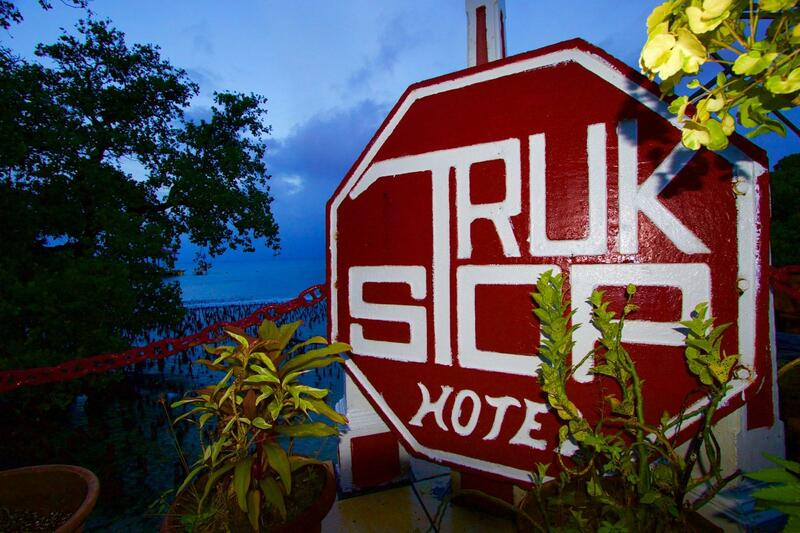 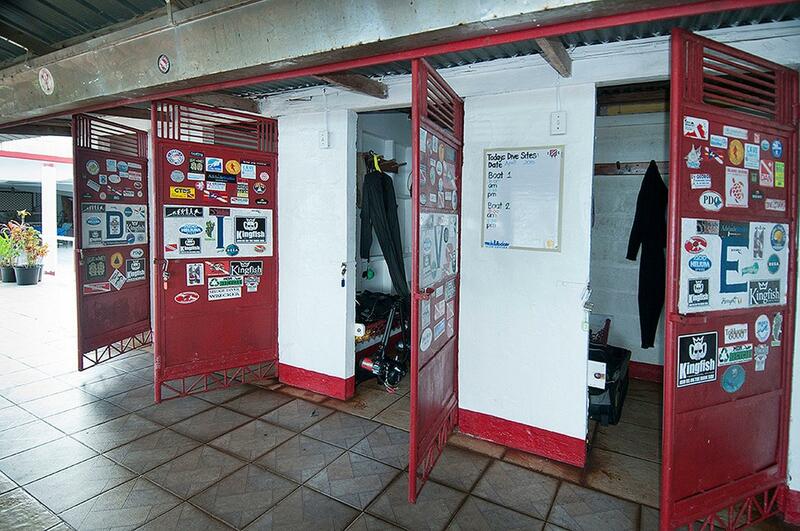 The Truk Stop Hotel is located on the Micronesian island of Weno. 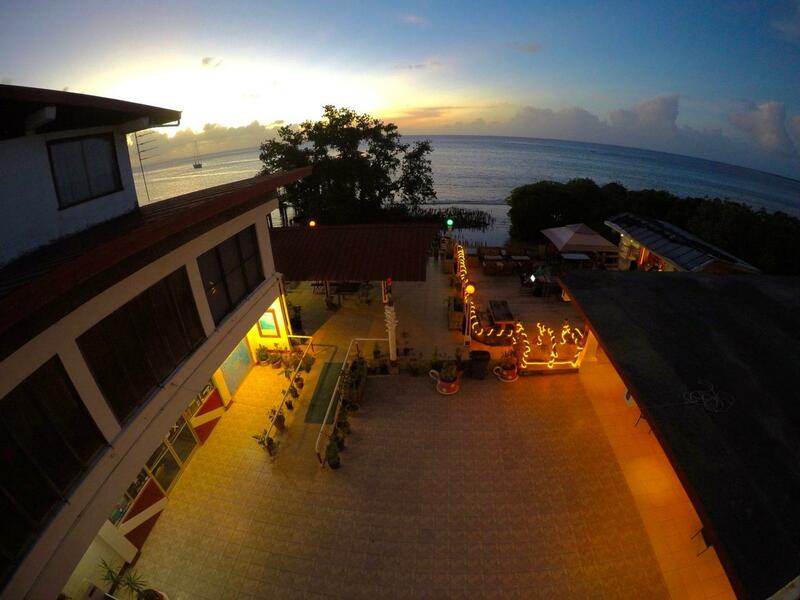 The dive resort is found where the crystal clear waters meet the green mountains that make up the island’s interior. 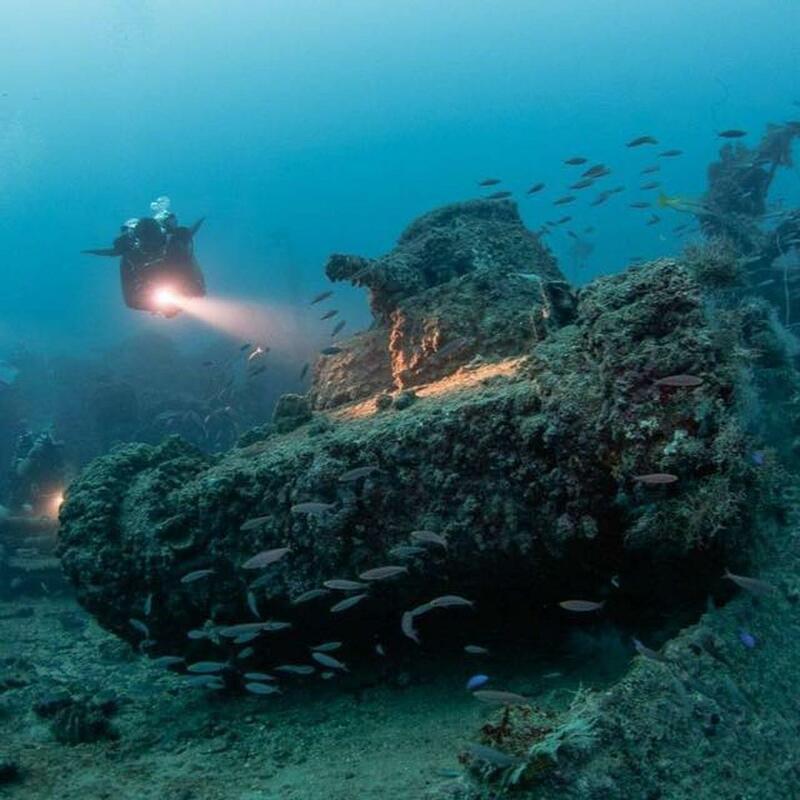 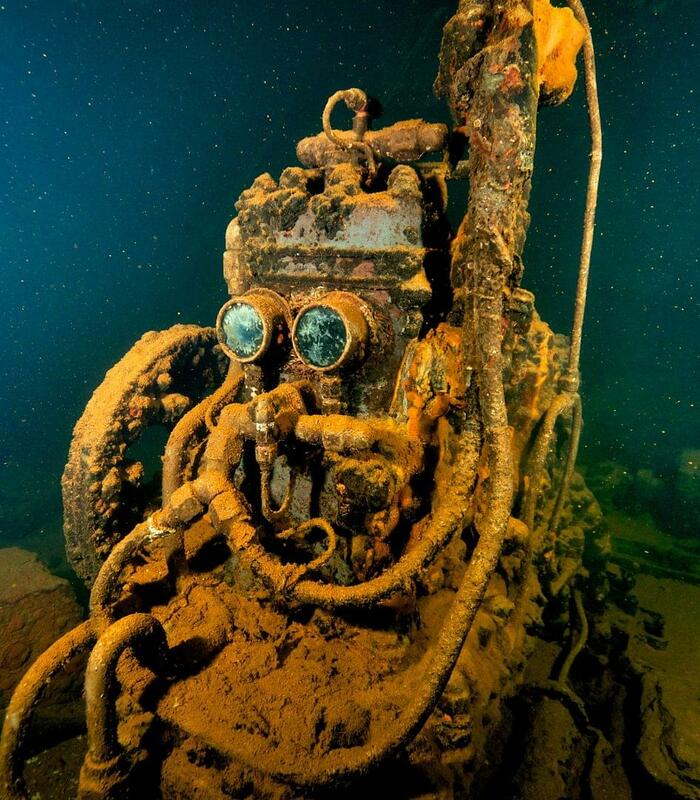 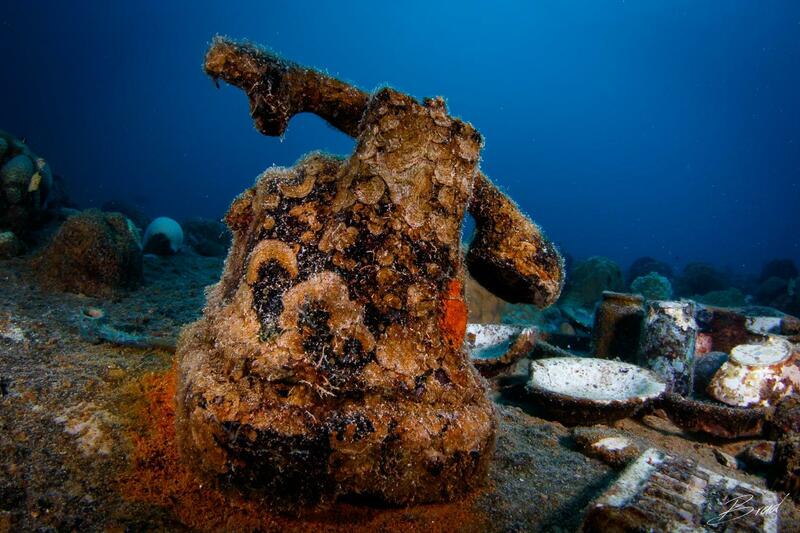 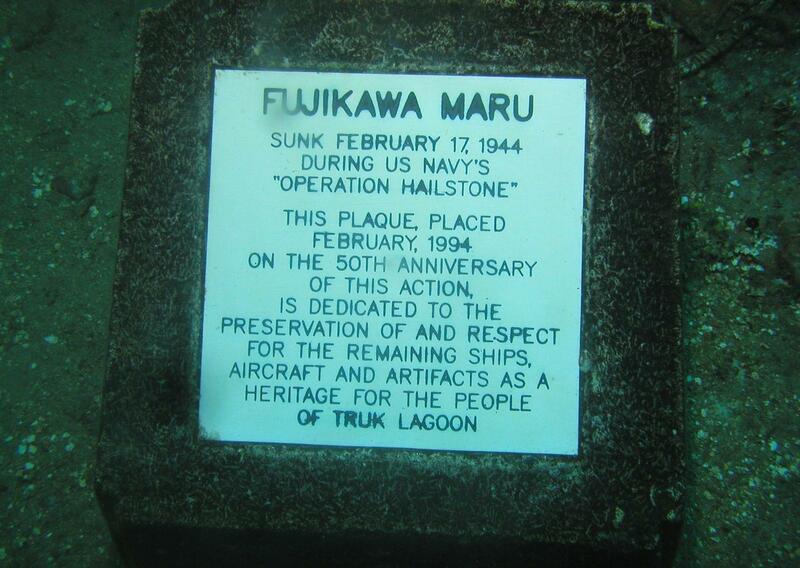 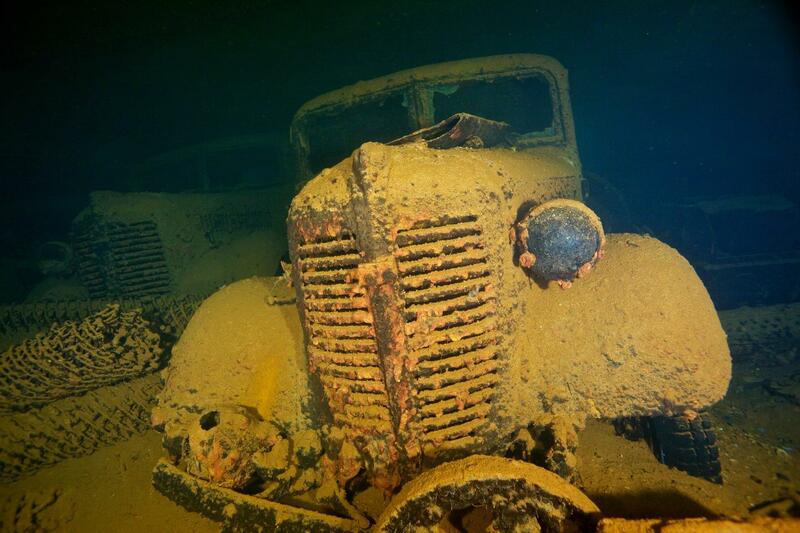 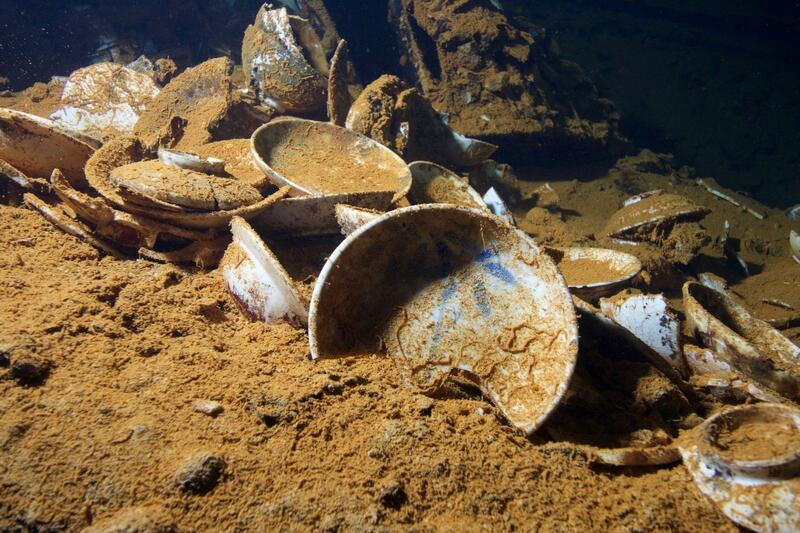 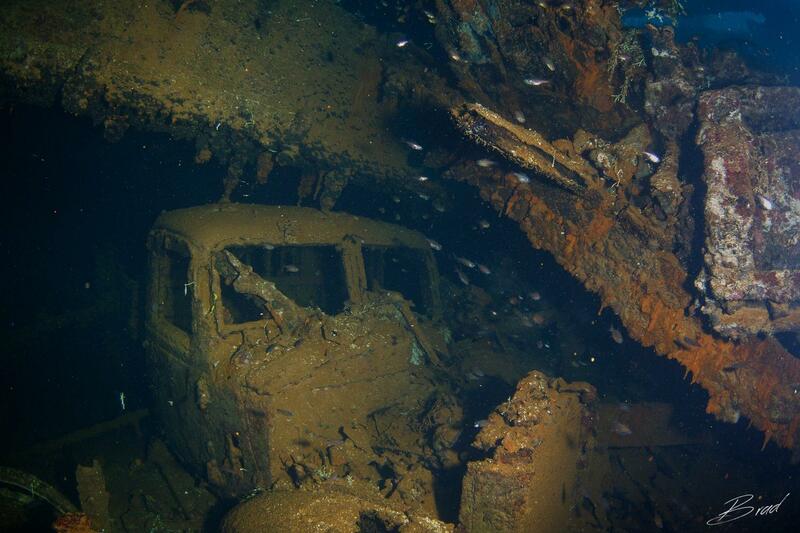 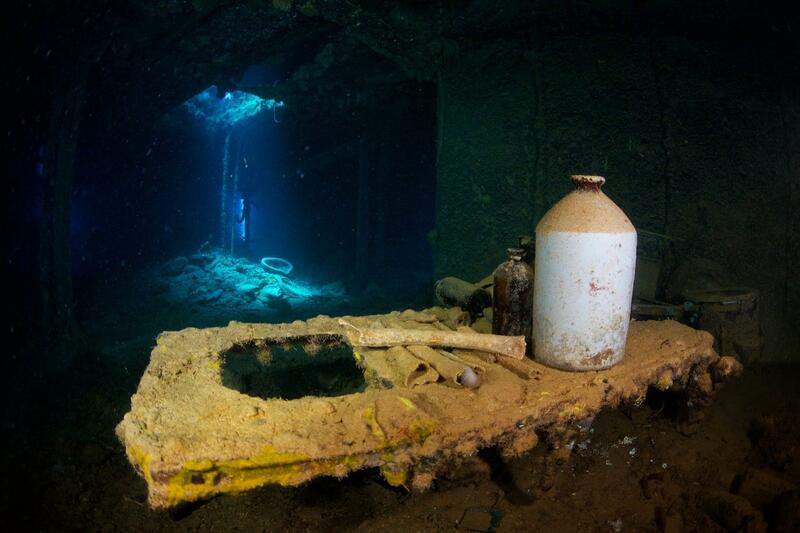 Truk Lagoon is a world-leading wreck diving destination with more than 60 sunken WWII Japanese ships and aircraft. 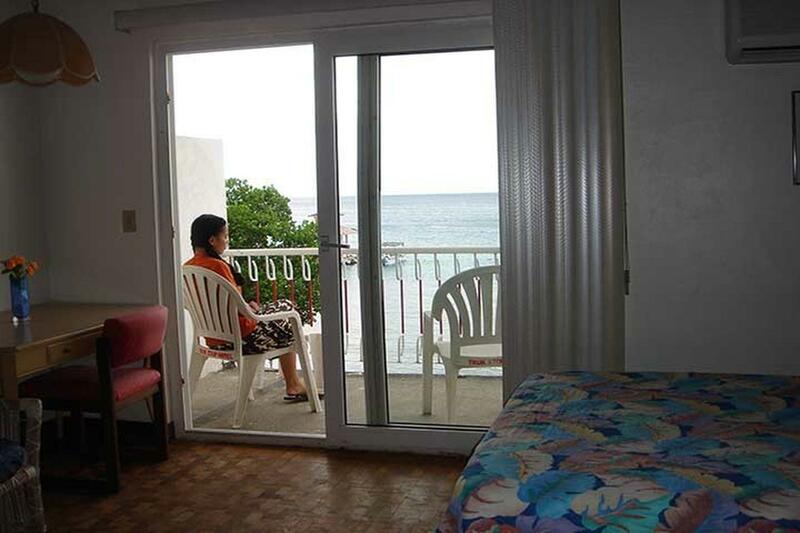 Apartments, suites, standard and deluxe ocean view rooms all offer balconies, private bathrooms, refrigerators, TVs and DVD players. 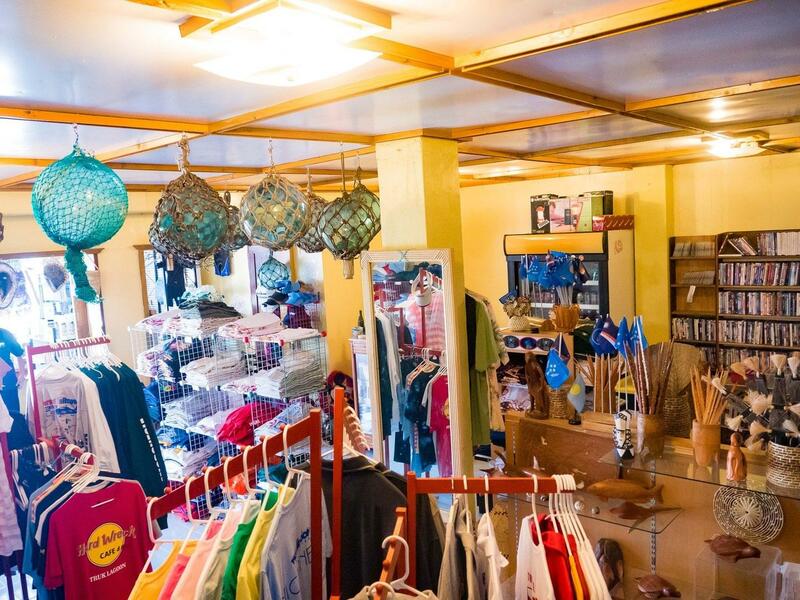 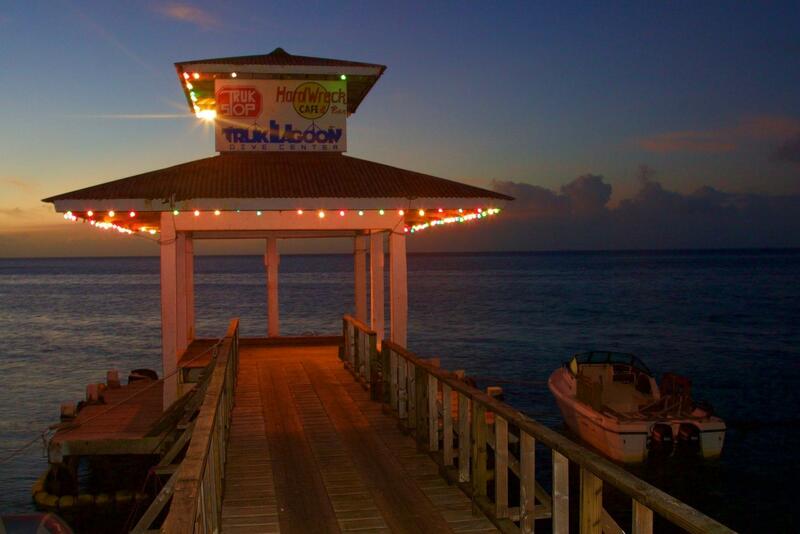 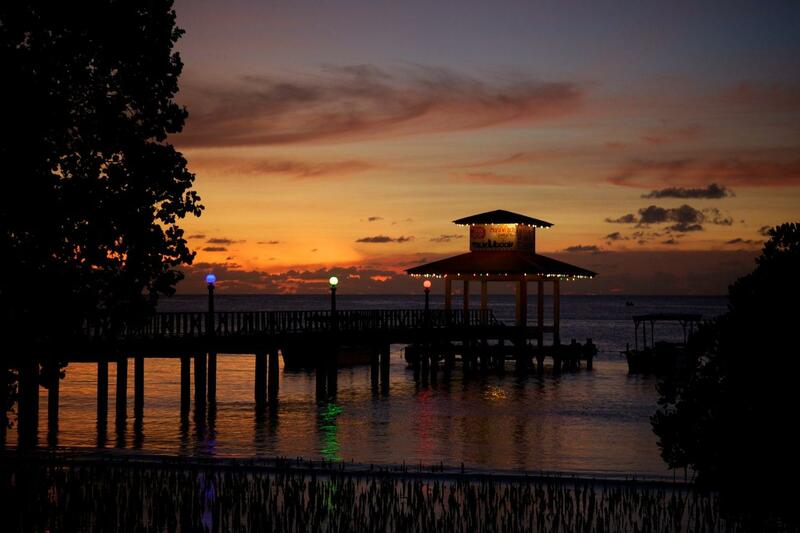 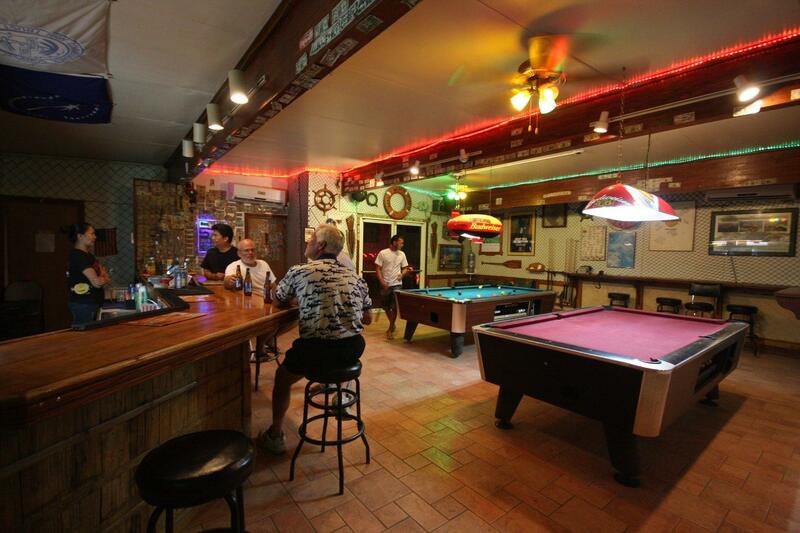 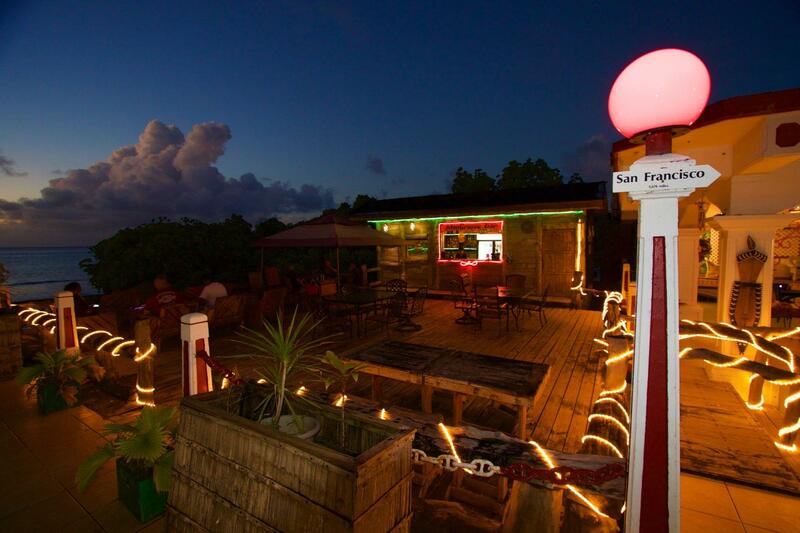 All spaces are air conditioned and less than five minutes walk from the dive shop, restaurant and private pier. 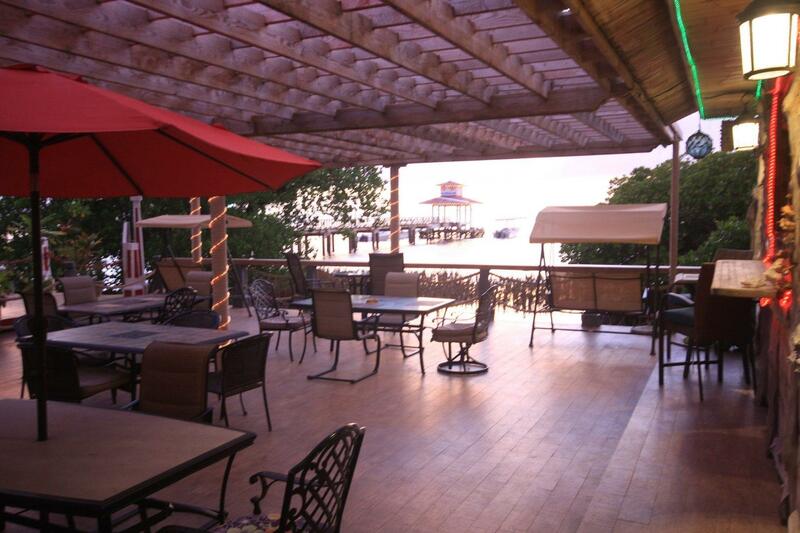 Climate controlled or outdoor dining is available at the hotel café and bar throughout the day. 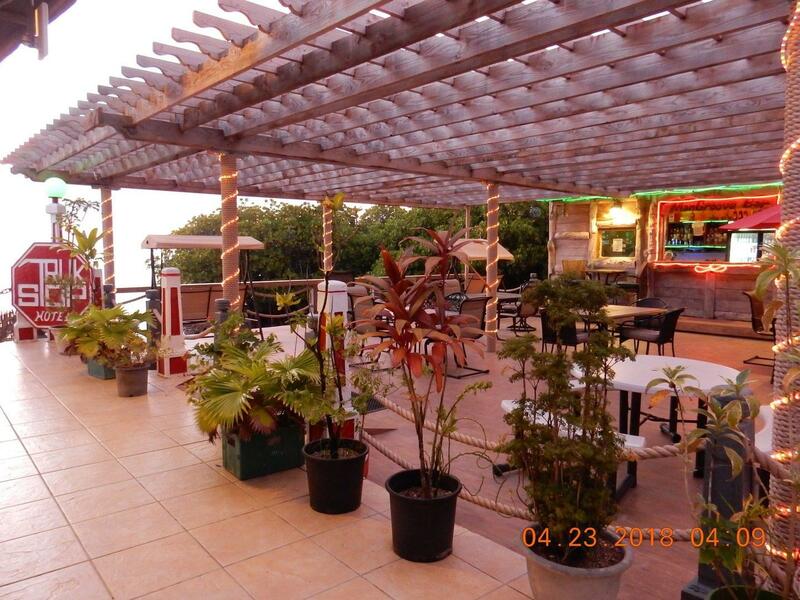 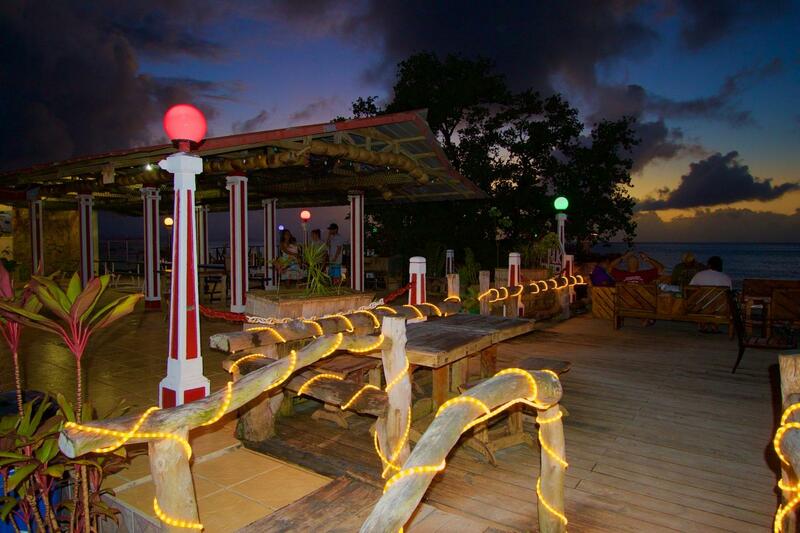 Enjoy WiFi, sunset views, a game of pool and a selection of local and international dishes. 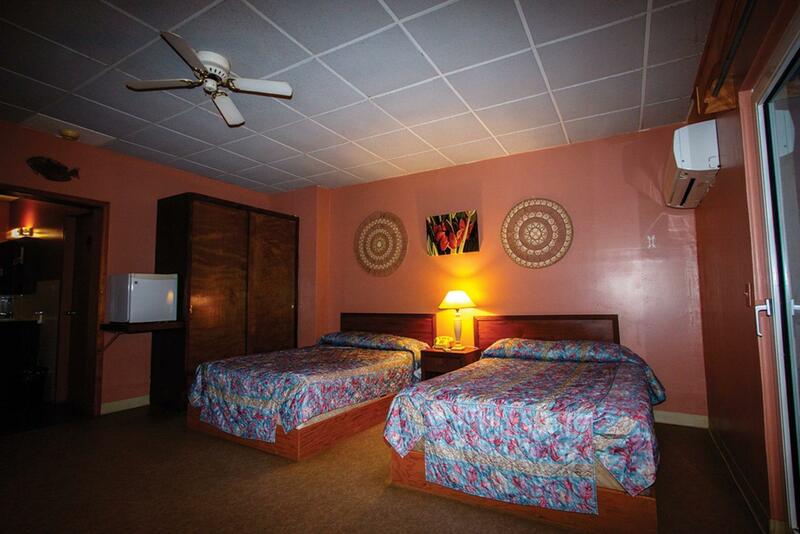 Room service is available between 7:00am and 9:00pm. 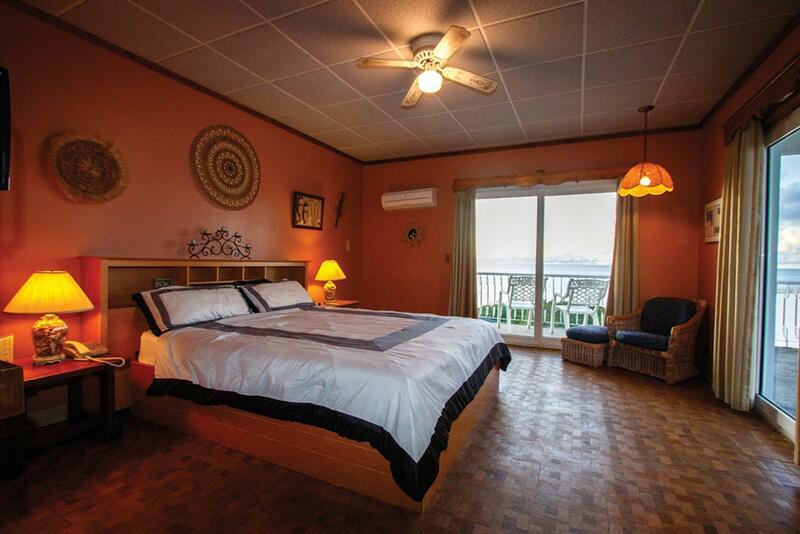 The resort is based in Weno Township and within walking distance of local stores and markets. 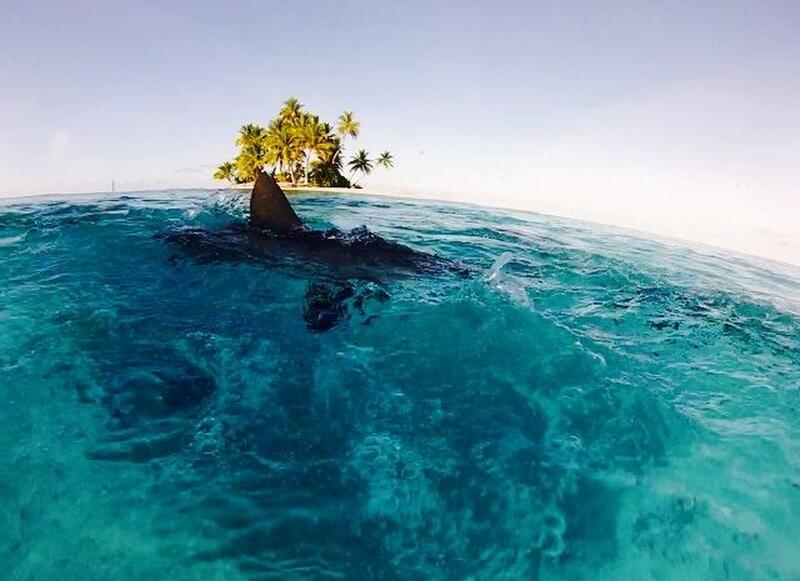 Sharks patrol the waters of Chuuk Lagoon and you are likely to encounter them whilst enjoying the wreck dives. 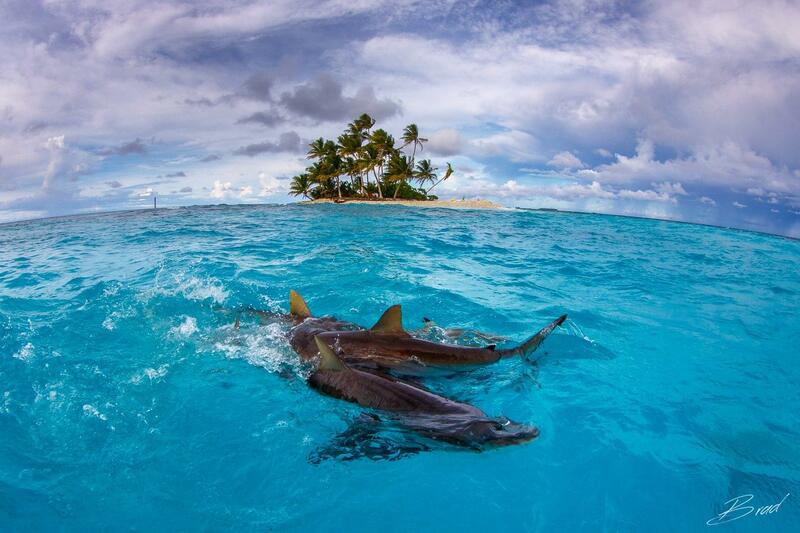 At the outer reefs, sharks are even more plentiful with many sightings of whitetip sharks, blacktip sharks, and grey reef sharks. 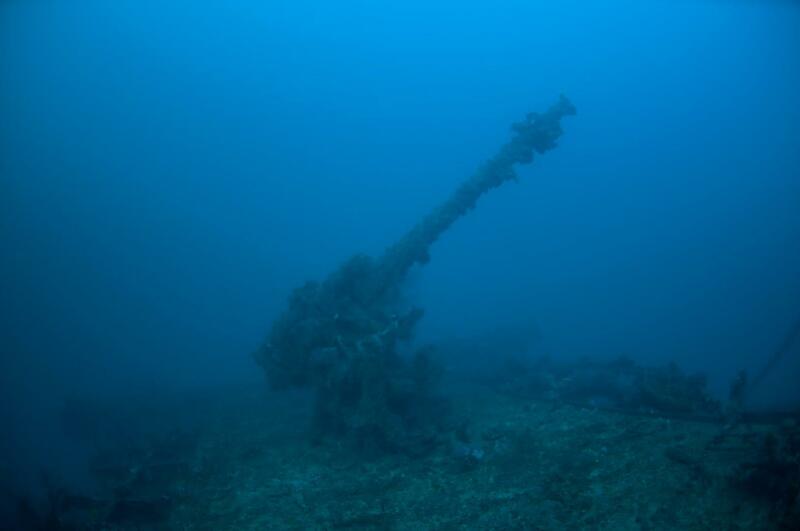 Other pelagic fish like trevally, barracuda and tuna also frequent the reefs and sometimes the wrecks. 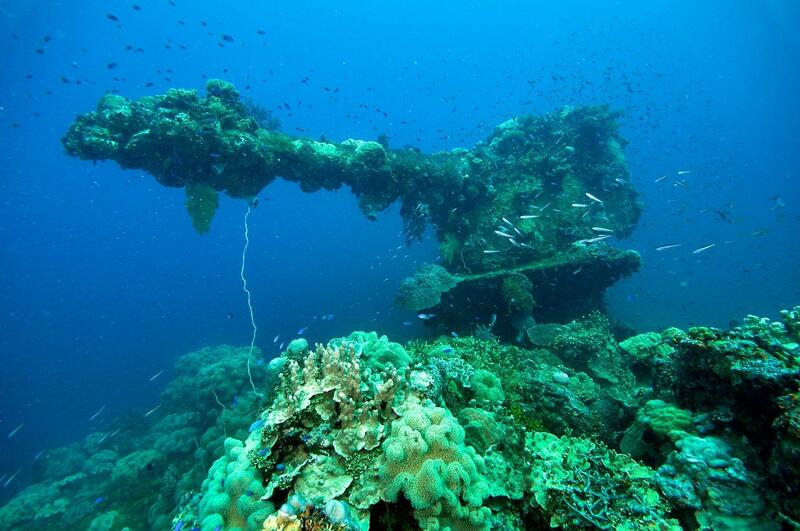 The wrecks are often littered with anemones, sponges, colorful reef fish and juvenile fish which use the wrecks to take shelter. 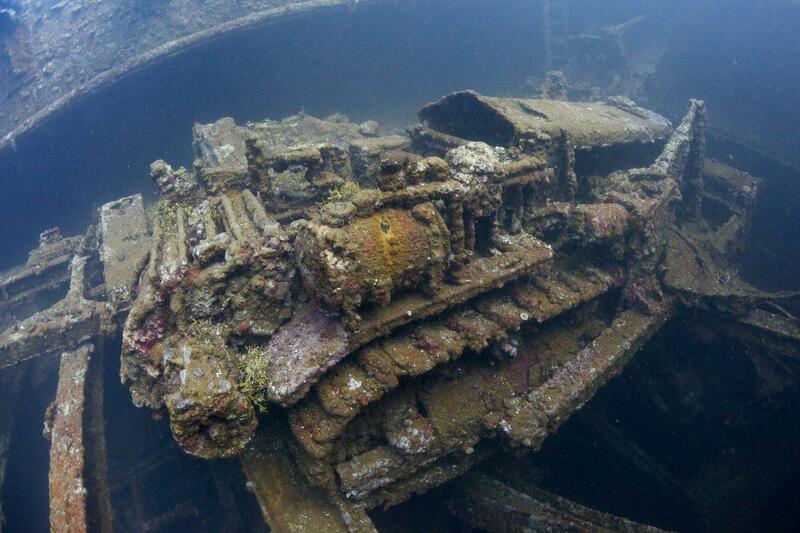 Along the parts of the wreck encrusted with soft and hard coral, expect to find little blennies, squirrelfish, moray eels, porcelain crab, shrimp, nudibranch and camouflaged scorpionfish. 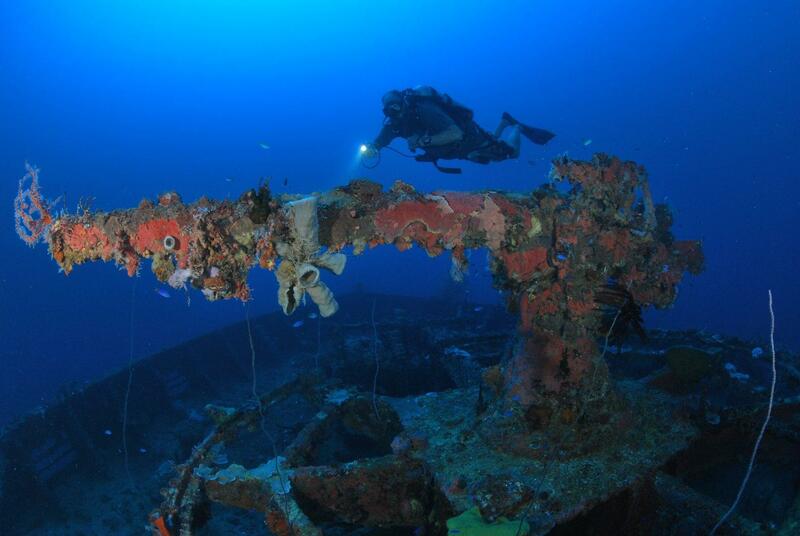 The center provide the basic courses of instruction up to Dive Master plus a variety of specialty courses. 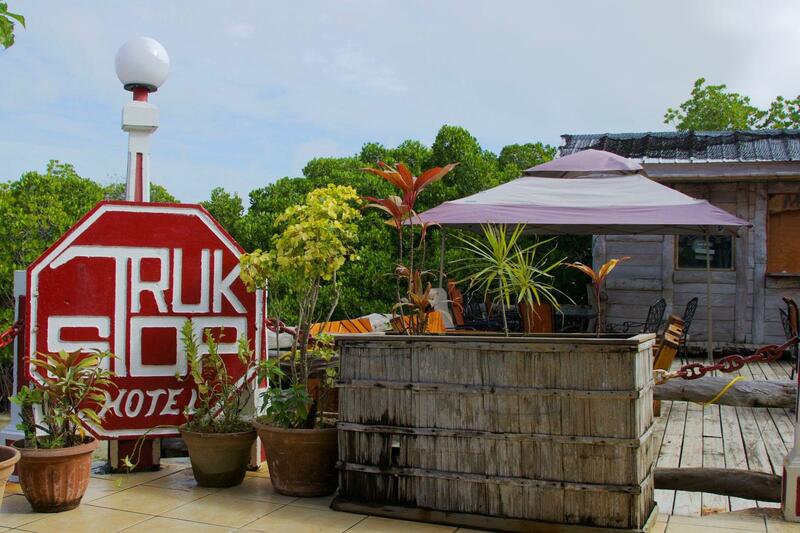 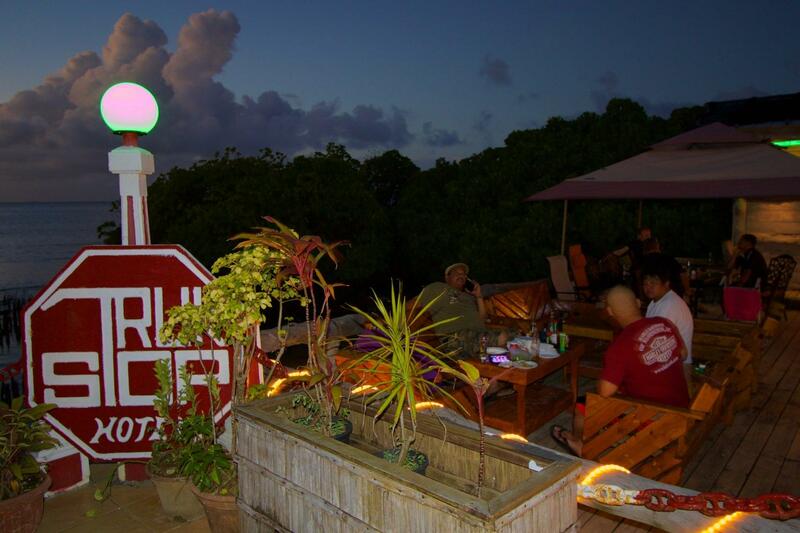 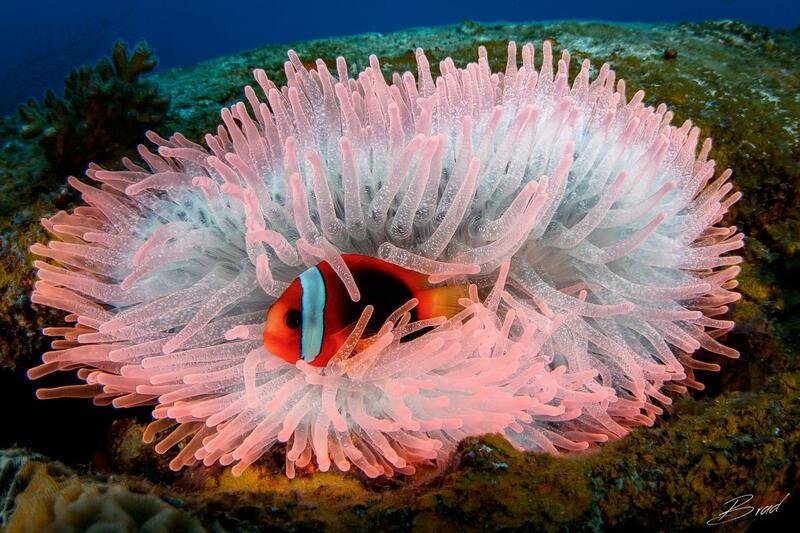 Truk Lagoon Dive Center was established in 2002 and is based on-site at Truk Hotel. 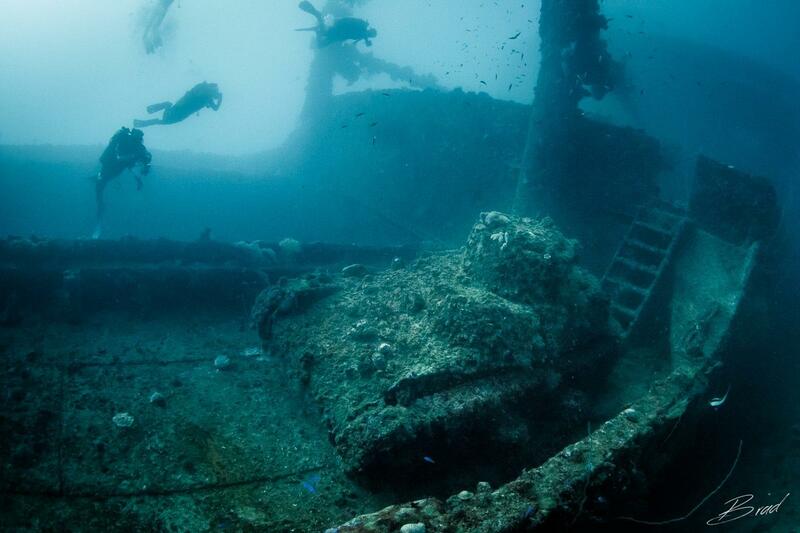 The calm and clear waters around Weno Island are a must visit for wreck or shark diving enthusiasts. 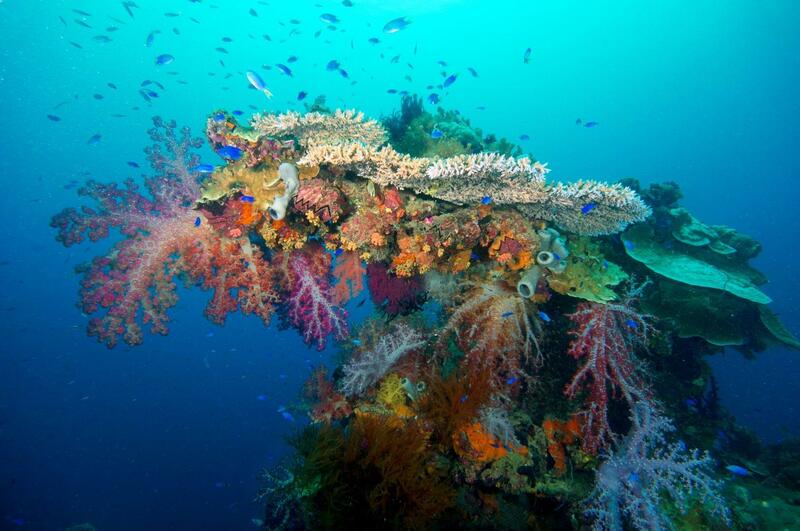 Shark Island is 15 minutes from the dive center and the nearby, current-free ocean is home to miles of unexplored coral reef. 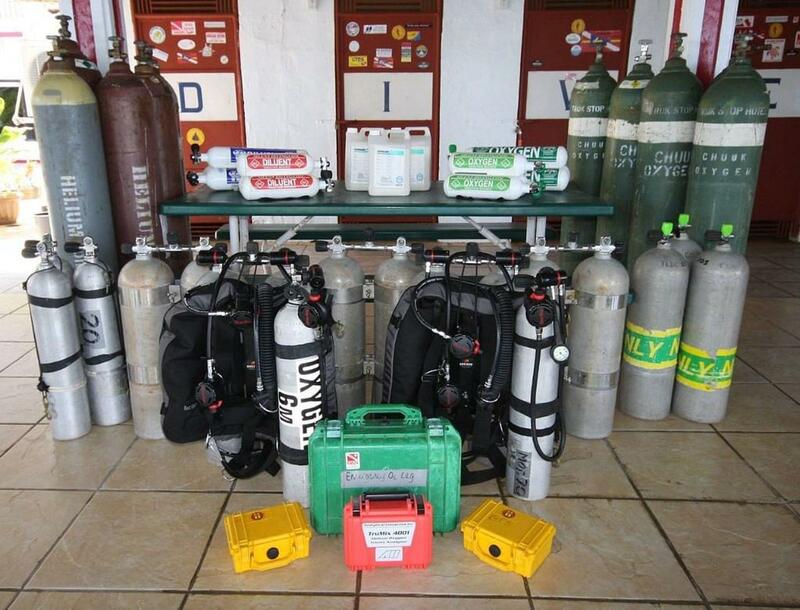 The dive center offers full equipment hire, personal lockers, showers, rinse tanks, and Bauer compressors capable of blending Nitrox and Trimix. 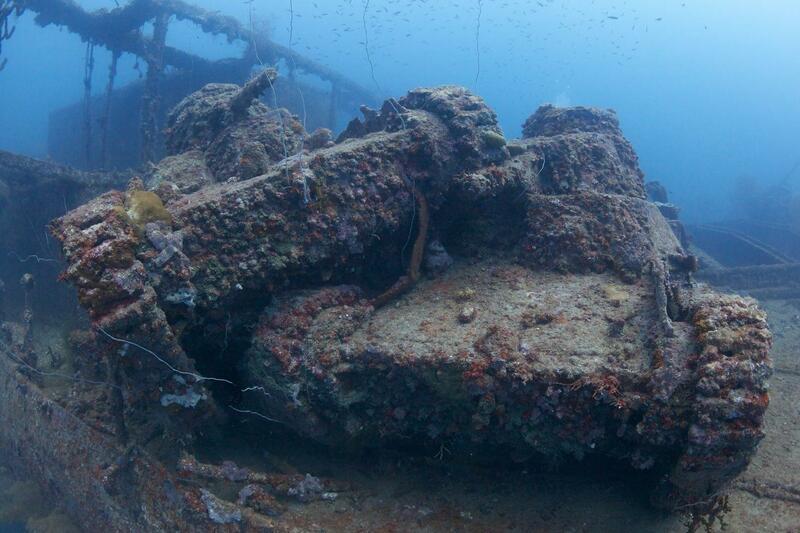 A full range of PADI courses are offered including wreck diver, Nitrox and Rebreather. 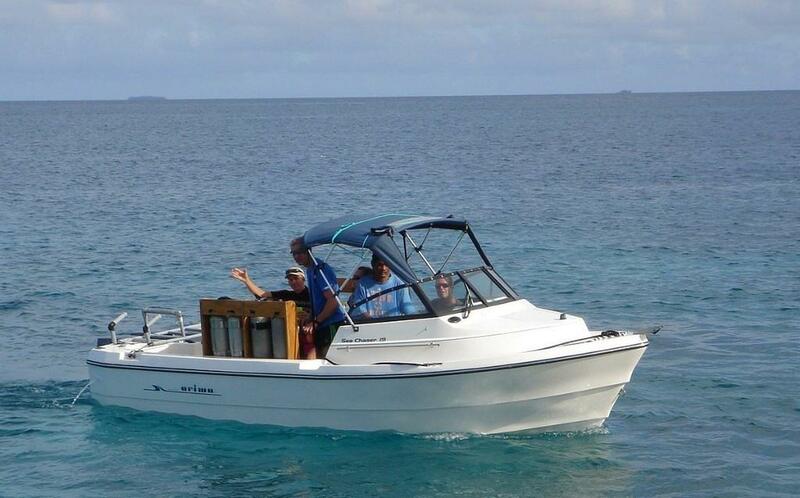 Two 30ft and one 19ft dive skiffs are moored on the private pier and facilitate daily dive trips in the morning, afternoon and night. 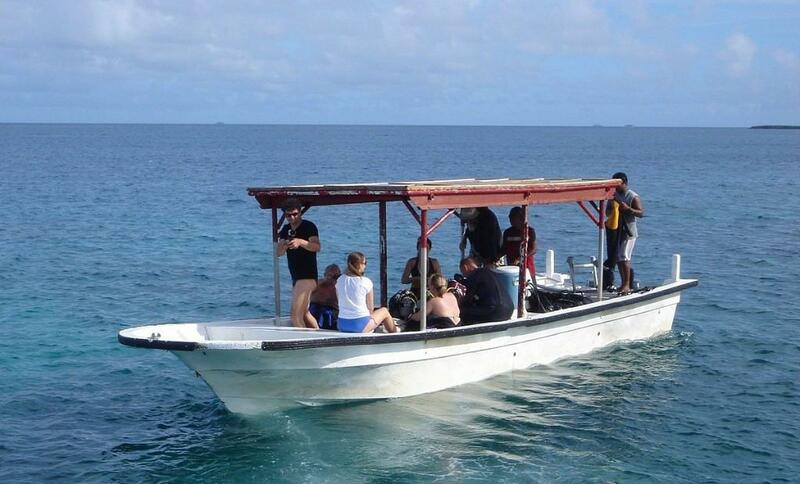 All boats carry communications, oxygen, emergency first aid kits and fresh water. 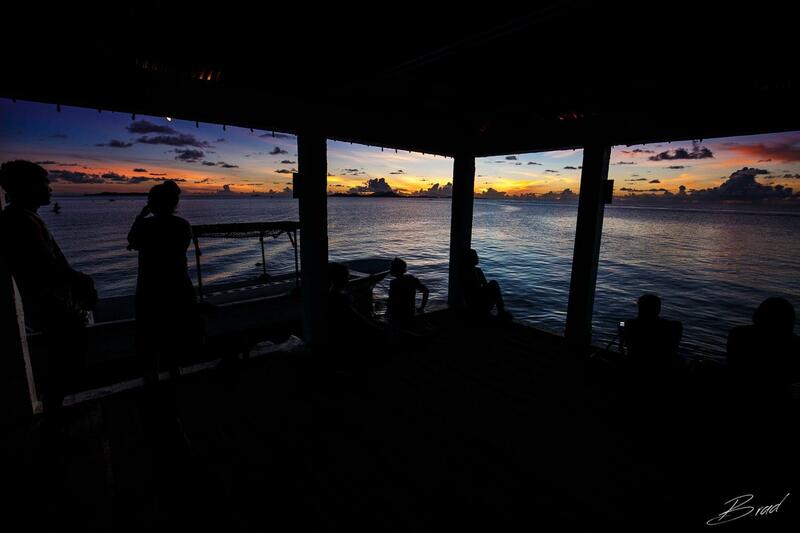 All instructors and boat captains have significant knowledge of the local seas, having grown up locally or lived in the area for many years. 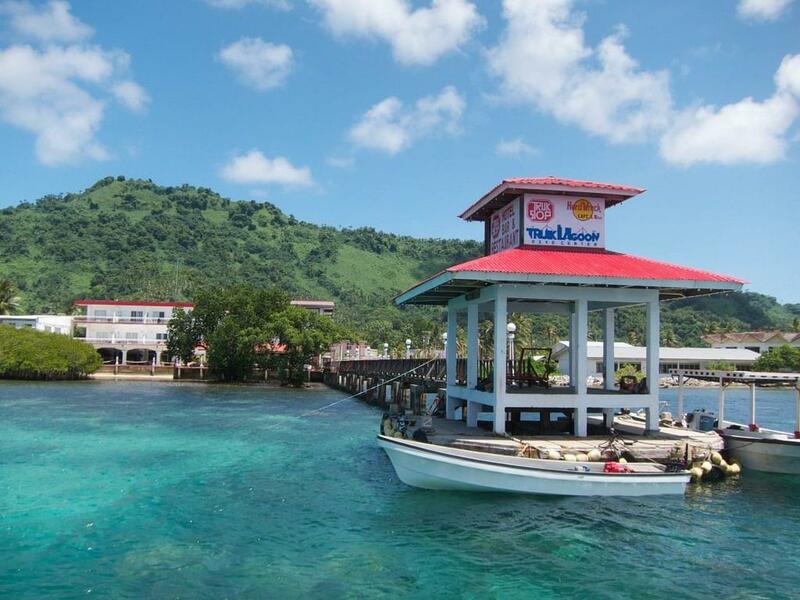 The closest international airport is Chuuk International Airport. 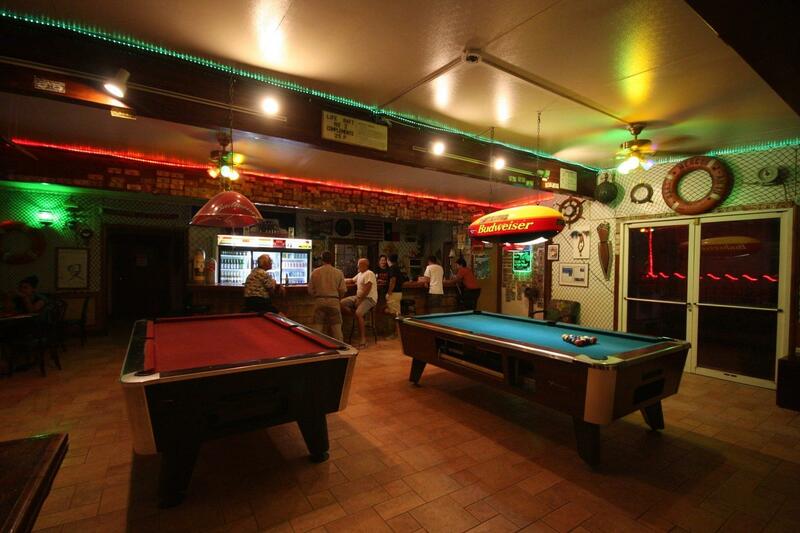 The airport is just 5 minutes' drive from the hotel (2 KM). 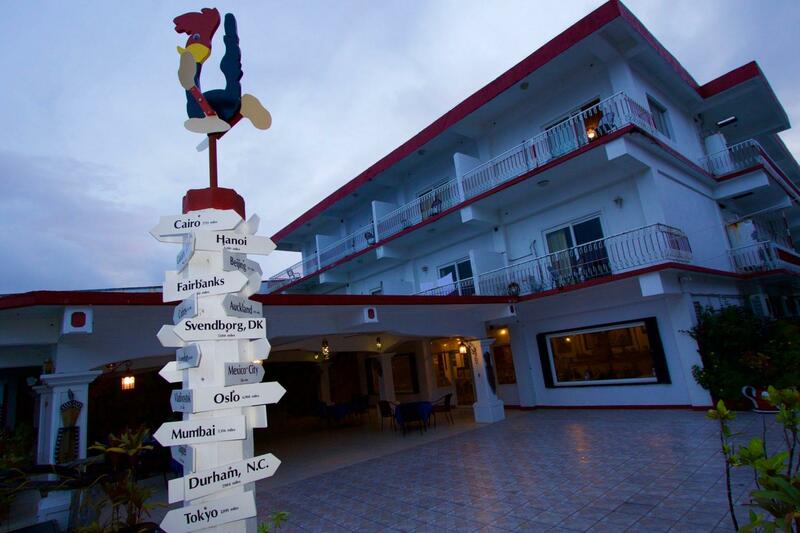 Having checked out at reception you can make your own way to the airport or join the hotel transfer to the airport.